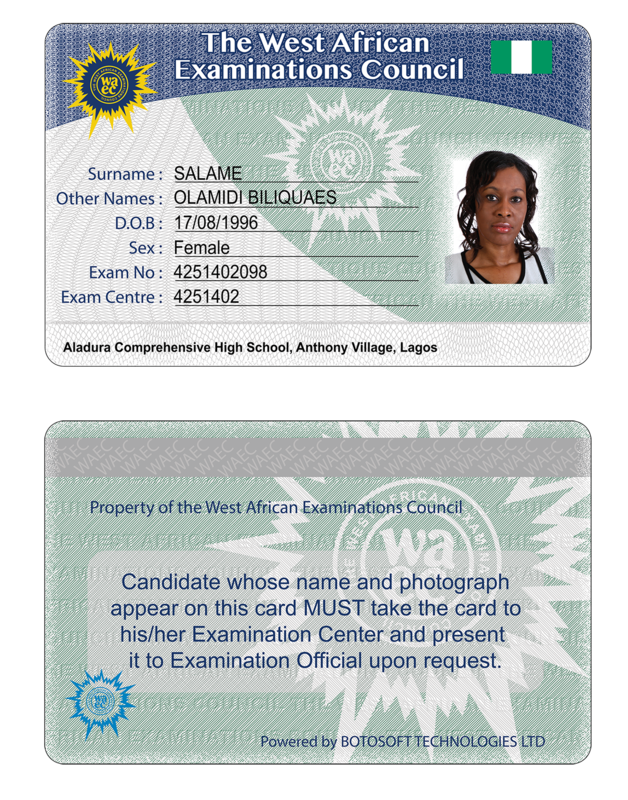 Mobile Student ID system helps WAEC combat identity fraud and preserve the value of an education in Nigeria. Handheld mobile readers eliminate identity fraud, verify student attendance and manage rules in real-time. 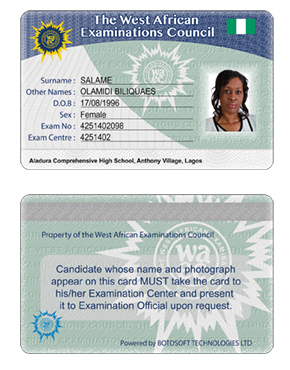 AUSTIN, Texas, May 5, 2015 – HID Global®, a worldwide leader in secure identity solutions, today announced it has successfully launched a mobile student ID system in collaboration with Botosoft, the leading provider of technologies in Africa, to help the West African Examinations Council (WAEC) combat student identity fraud in Nigeria. Every year, beginning in the spring, more than 2.2 million students will register online and receive machine-readable Genuine HID® smart cards. Mobile readers validate new student ID cards instantly. To facilitate improvements in the annual examinations, WAEC teamed with Lagos-based Botosoft and HID Global to assist with the development and deployment of a secure card issuance and mobile student ID system, ultimately allowing WAEC to meet and exceed its security needs on budget. The use of handheld mobile readers eliminates identity fraud; allows examiners to verify student attendance; and enables them to manage challenges around examination rules violations in real-time. The mobile reader application also saves hundreds of hours of manual data entry and eliminates errors. The time saved allows the examiners to concentrate on the importance of the day as they can be confident that the students are already authenticated for the exam in question. HID Global leveraged its government ID expertise and offerings to deliver a customized solution to accept the raw data from the WAEC online enrollment process, validate the information and prepare it for use in personalizing the cards in Botosoft’s facility. The turnkey software and hardware solution included 48 HID Global FARGO®DTC4500 and DTC4500e ID card printers / encoders with a combined capacity of more than 65,000 cards per day. Additionally, HID Global assisted with the card design and development of the mobile reader application software used in the mobile readers. Once issued, Botosoft’s Candidates Identity Verification, Attendance, Malpractice and Post-Examinations Management System(CIVAMPEMS) ensures effective administration of the “Exam Day” process. The West African Examinations Council Electronic Student ID Card was recently named a finalist in the prestigious International Card Manufacturers Association (ICMA) Élan Awards 2015. HID Global’s Government ID Solutions provides governments worldwide with an end-to-end portfolio of highly secure, custom government-to-citizen ID solutions. The company has shipped more than 150 million eIDs in over 50 countries for major projects that include national ID, e-passport, foreign resident ID, worker ID, driver’s license and vehicle registration programs worldwide.